Doctors often keep patients awake during brain surgery to monitor them for injuries in real time. Put in this situation, most of us would probably do very little of anything other than respond when spoken to and pray for a swift end to the experience. That didn’t sound like much fun to Anthony Dias. 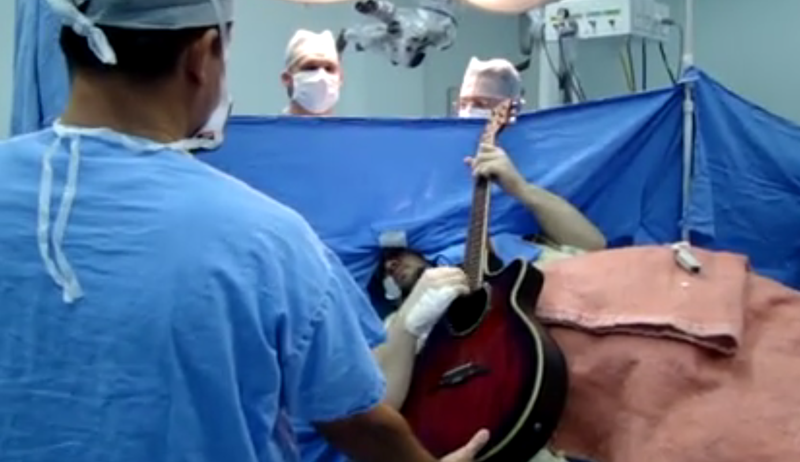 During his nine hours on the operating table while doctors removed a brain tumor, the former professional musician kept everyone’s spirits high by playing a wide range of music, including classic Beatles tunes and Portuguese songs, on his guitar. Now, if that doesn’t restore some of your faith in humanity, I don’t know what will.